Weight Watchers Pizza is actually a favorite choice of mine for lunch these days. 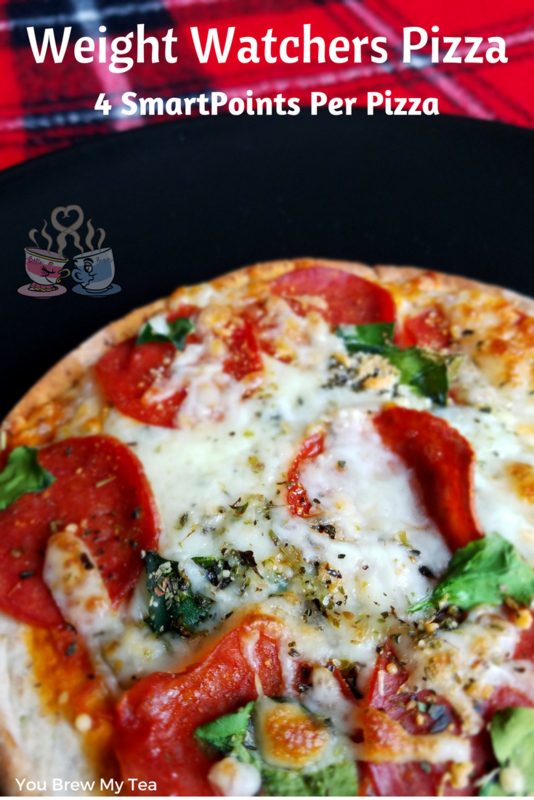 It is not your typical pizza but is totally yummy and a great substitute. I will say, however, if you are a fan of thick crust – this is not going to satisfy that craving. Using an alternate crust means that you cut out a lot of that classic yeasty goodness. While I am a crust snob typically, I still find this to be a great option that is satisfying for lunch. This post contains affiliate links from Amazon and Tupperware. I earn a small commission when you make purchases via these links. I love the great support groups on Facebook for those who are on Weight Watchers. 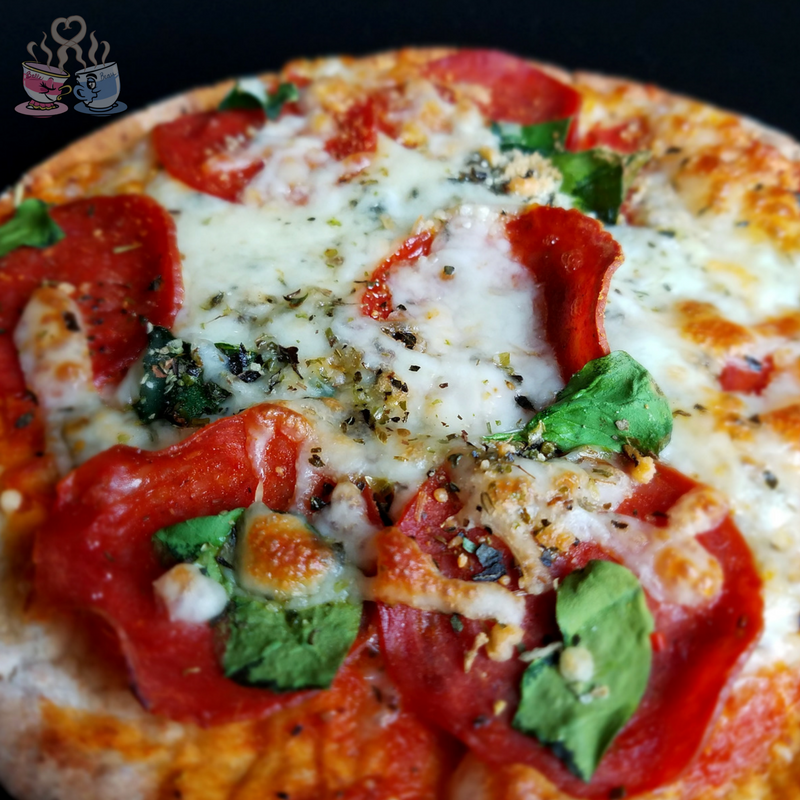 I’m not sure who originated this pizza recipe, and of course, it has been adapted for my own taste, but the idea of using the Joseph’s Heart Friendly Pita Bread came from a Weight Watchers Support Group on Facebook. If you haven’t joined any, I highly recommend checking them out. Using this simple bread as a base makes them yummy and low in SmartPoints. I can usually find these at my local Walmart or Meijer store, but you can also order in bulk online. Place pita on a pizza stone or baking pan. Spread pizza sauce over top of pita and sprinkle with garlic powder and 1/2 of Italian seasoning. Sprinkle with half of cheese, then add toppings. Add remainder of cheese and Italian seasoning. Additional toppings as preferred like onions, bell pepper, mushroom, etc. Spread pizza sauce over top of pita and sprinkle with garlic powder and ½ of Italian seasoning. I know what you are thinking. How can it actually be like pizza? Well, here is the thing – it isn’t like a traditional pizza. I won’t lie to you. It is however, full of the pizza flavor you love, satisfying, and low in points. For those who are hungrier, you can load it with zero point vegetables. If you have more points, you may be able to even enjoy 2 of these or have a big salad on the side with your favorite low-fat dressing. This recipe was calculated using the Weight Watchers Recipe Builder from my own Weight Watchers account. You can also use the Weight Watchers SmartPoints Calculator as an alternative to using the online program or going to meetings. I’m not associated with Weight Watchers, but I personally have been using the program and absolutely love the focus on healthier foods and lifestyle. I can even send this for my Beau to have for lunch by using small Tupperware snack cups for the different ingredients. It’s easy for him to throw together and microwave. While not as crispy, it still ends up being a nice lunch. Whether you make this Weight Watchers pizza as is, or you add your favorite vegetables, Canadian bacon, or even the controversial pineapple, this is a great option! Going to look for those pita breads this week. Pizza sounds good for lunch. Just had two of these yummy pizzas for lunch! I preheated my pizza stone, and can honestly say I didn’t miss my homemade pizza crust!